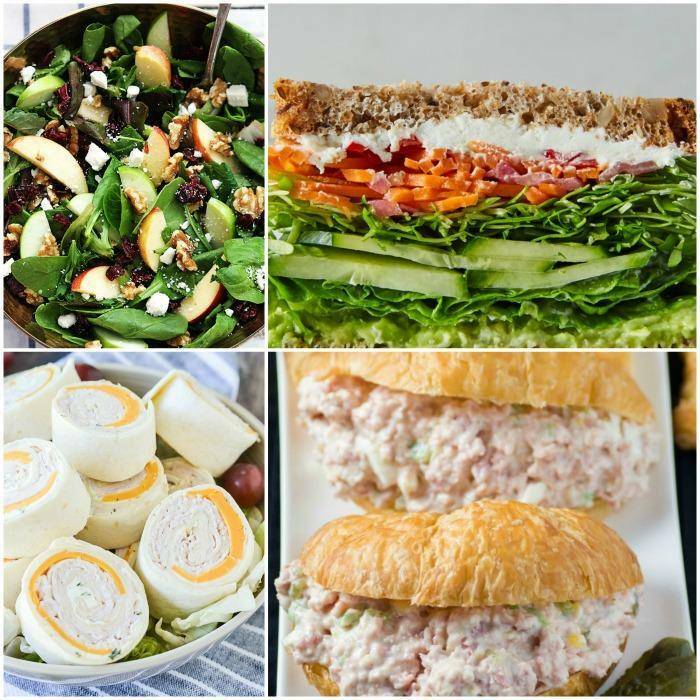 No Bake Dinner Ideas for Summer perfect backyard barbecue recipes you can make without an oven. 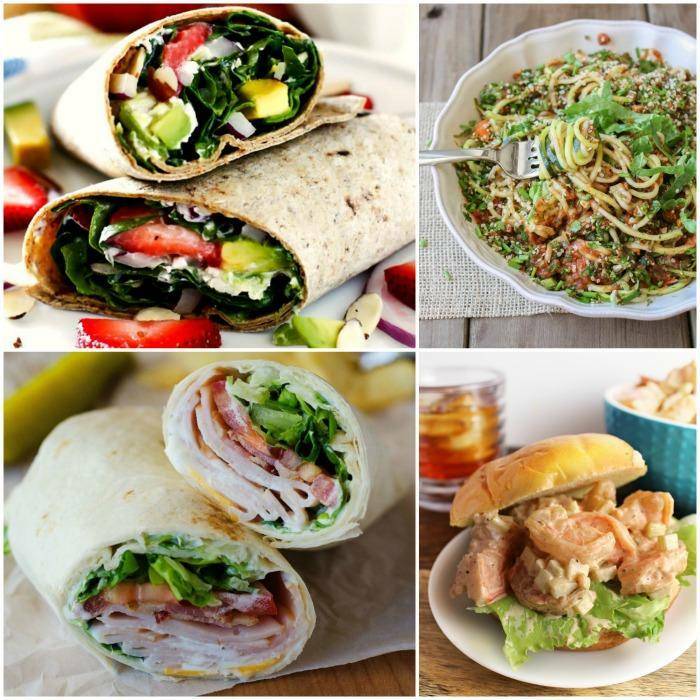 All of these Easy No Cook Dinner Recipes require zero cooking. Are you looking for some No Bake Dinner Ideas? Don’t you hate coming in from a hot summer day and having to turn on the skillet or the oven and make things even hotter?? I know I do! 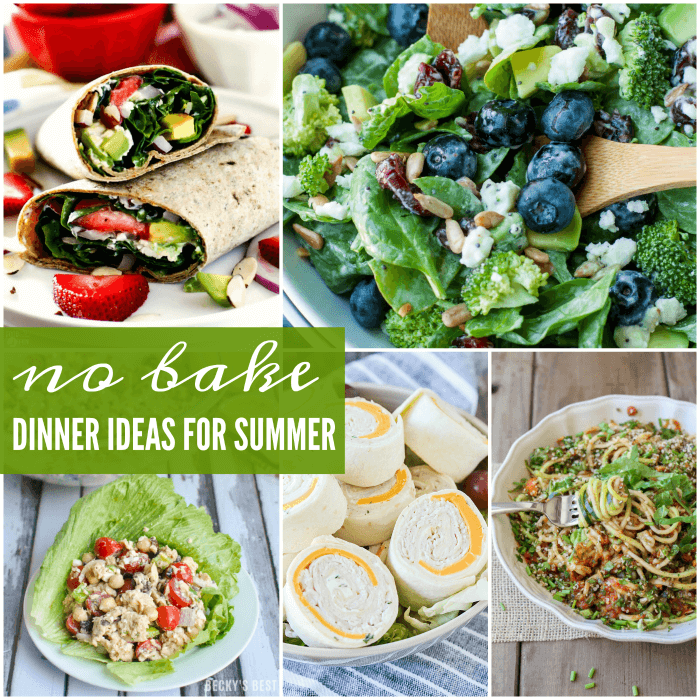 So I’ve gathered together some No Bake Dinner Ideas for Summer that will keep you nice and cool and they taste delicious too! This delicious Apple Cranberry Walnut Salad is the perfect dinner dish for a summer day! These awesome Turkey Cheddar Ranch Pinwheels are so tasty and they’re perfect for a light summery dinner! These delicious Ham Salad Sandwiches are super easy to make and the whole family will love them! 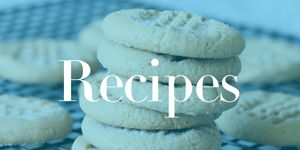 RELATED: Check out these No Bake Desserts Recipes! Give this yummy Raw Zucchini Noodles & Veggies a try this summer, it’s easy and takes no baking! I am loving this delicious Maryland Shrimp Salad Recipe, it’s super easy to make! Your whole family will love this super tasty Turkey Ranch Club Wrap so give it a try! If you’re looking for a different twist on your regular salads, try this asparagus, tomato and feta salad! 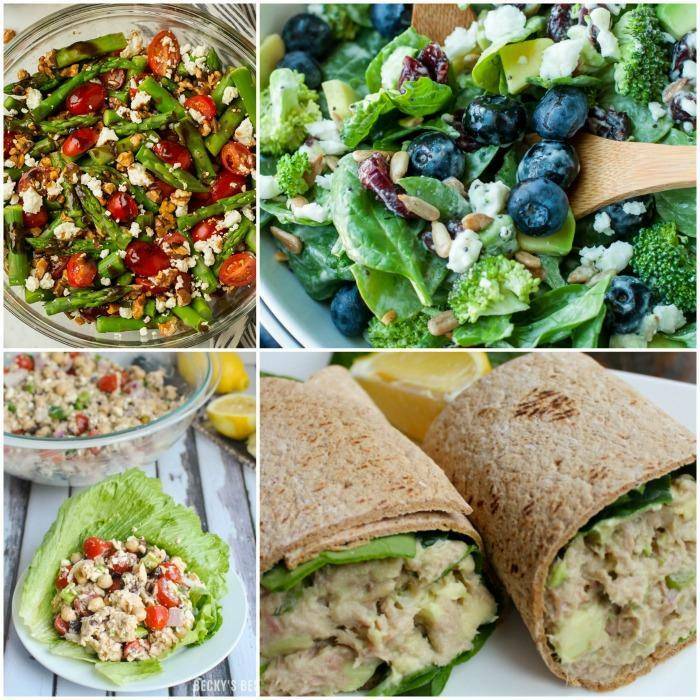 If you’re looking for something on the healthy side, then this skinny tuna avocado wrap is the way to go! WOW! This Blueberry Broccoli Spinach Salad is fantastic and easy to make!